After over 15 years training in Shaolin Kung Fu and various other Chinese, Japanese, Korean and Thai martial arts, I am lucky to have never had the opportunity to physically defend myself. But it has helped me countless times to defend myself against the enemy within. pain; only by surrendering and accepting the pain of hardship can it be transcended, hard work makes the body strong. 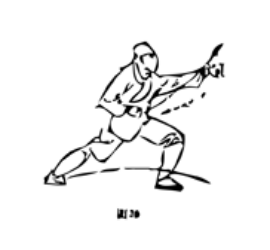 In this sense it’s true that the spirit of Kung Fu, the essence, is found in pain and boredom, the body naturally avoids pain, the mind avoids boredom, we choose laziness and distraction over effort and focus, but laziness and distraction make the mind and body weak. The body is the temple, through daily practice, we keep the temple swept and clean, we fragrance it with sweet incense and hang ornate scrolls, we live inside the temple, it makes good sense to keep it in good order. My ideas about martial arts have changed radically over the years; I’ve learned many lessons the hard way. I know that the teacher is always more important than the art. I know that doing a little, frequently, is far more effective than doing a lot, infrequently. I know that most equipment is at best unnecessary and at worst an avoidance of hard work. I know that you get out what you put in. I know that dripping water will effortlessly erode the hardest rock, given enough time. I know that the process is always more important than the goal, the way is more important than the destination. It’s important to keep moving, stagnation is death; everything evolves, everything changes, this is the natural order of the universe. In my own practice, I strive to put aside that which does not work and embrace what does. I am constantly refining my practice, always ready to learn, to adapt, to let go of what does not serve me, what does not work for my body. I’m not a master and hope never to be one. I am a student, and teach in the spirit of sharing with my brothers and sisters. I am always pursuing balance in my practice, mixing fast with slow, soft with hard, internal with external. It gives me great pleasure to facilitate transformation and transcendence through self-empowerment. In all of my work, the body is boss and must be honoured, although Kung Fu comes with a lot of conceptual, historical, cultural and philosophical baggage, it is ultimately a tool to bring the body to optimum health, to create a healthy space where the spirit can reside in peace.